Key ingredient in your pumpkin spice latte goes back 3,500 years « Adafruit Industries – Makers, hackers, artists, designers and engineers! Love it or hate it pumpkin spice season has been with us for a very long time. A key component of “pumpkin spice” is actually just nutmeg and a team of archealogist now date its use back thousands of years! It turns out the story of nutmeg reaches much further back into history than scientists expected. 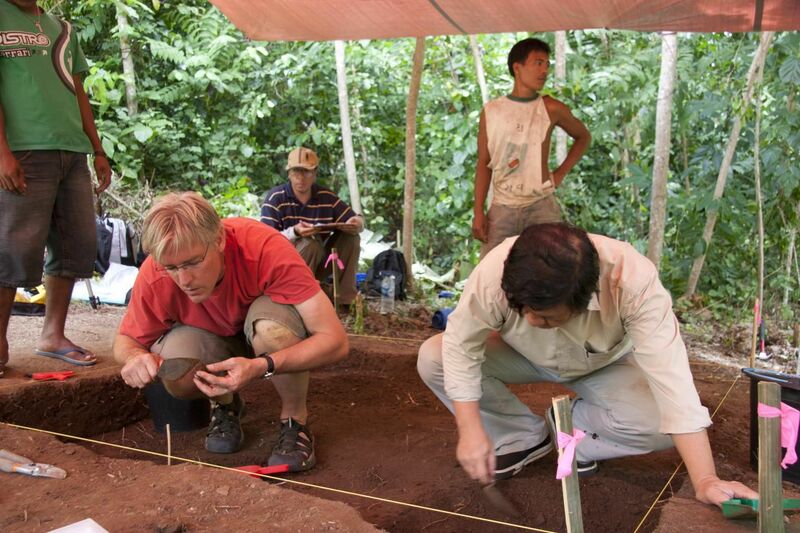 An archaeological team investigated a site on the island of Pulau Ay in Indonesia and discovered nutmeg residue on pottery fragments estimated to be 3,500 years old. The research team, led by anthropologist Peter Lape from the University of Washington, says the find pushes the earliest known use of nutmeg back by about 2,000 years. “This site shows us how people adapted to living on these small tropical islands in stages, from occasional use as fishing camps to permanent occupation,” Lape said. The nutmeg find is fascinating, though it doesn’t mean the long-ago residents of Pulau Ay were mixing up pumpkin-spice lattes or squash-based pies. The researchers did find traces of purple yam and sago, a starchy food extracted from some types of palm.